IASW Letter to Steelers Nation/World | "IT'S A STEELERS WORLD"! No excuses made. Defense played one hell of a game, but you cannot win if your offense cannot score. 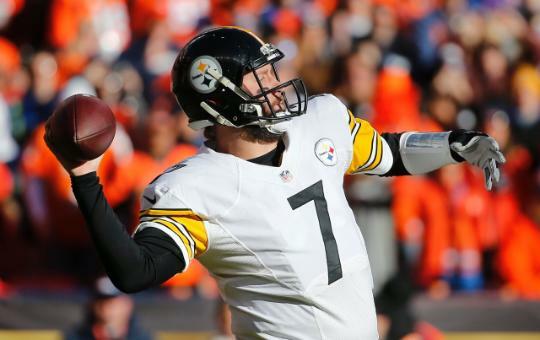 Ben Roethlisberger played better than expected. James Harrison, Ryan Shazier and Lawrence Timmons were laying the wood. And Sammie Coates showed he was game ready along with Heyward-Bey, Wheaton and Bryant. Fitzgerald Toussaint? He did decent minus the fumble at a pivotal moment in the game that led to the Broncos only touchdown. My point is..no one expected the Steelers to even make it into the playoffs, let alone to the Divisional Round. Through all the injuries and suspensions they still stood strong. 3 quarterbacks..2 centers..4 kickers..4 running backs and a plethora of receivers and still accomplished more than most healthy..fully stocked teams. So Steelers fans don’t be an idiot and start placing blame on Coach Mike Tomlin or any other member of the coaching staff. Because they did “DAMN GOOD” considering what they had to work with. And don’t point the fingers at the refs or opposing players either, be smart and graceful in defeat..not resentful. Congratulations to the Denver Broncos. I will be cheering you on against the New England Cheatriots next week. See you next year.